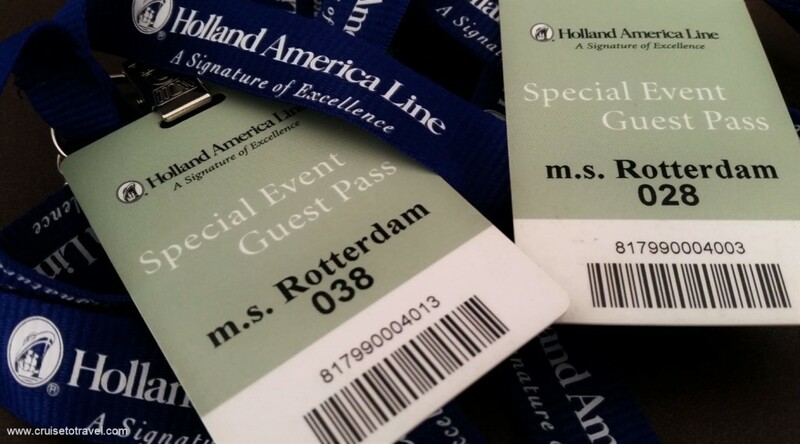 A few weeks ago we visited MS Rotterdam, the standard-bearer for Holland America Line‘s fleet of ships, in Rotterdam. 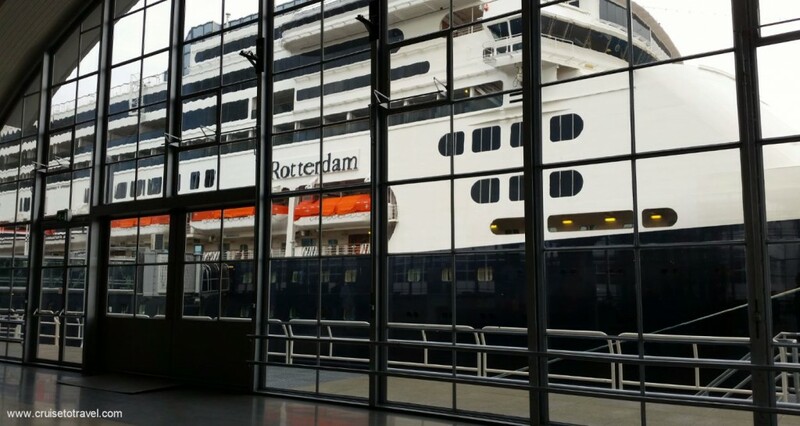 As soon as we approached the cruise terminal in Rotterdam we could see MS Rotterdam’s dark blue hull, which is so typical and characteristic for Holland America Line. 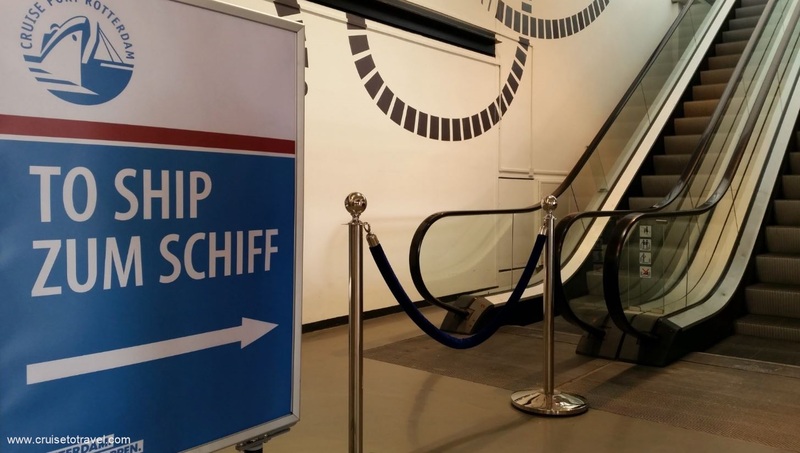 Having waited a few minutes inside the Rotterdam Cruise Port we received our visitors badge and passed through security, ready to go and explore MS Rotterdam. 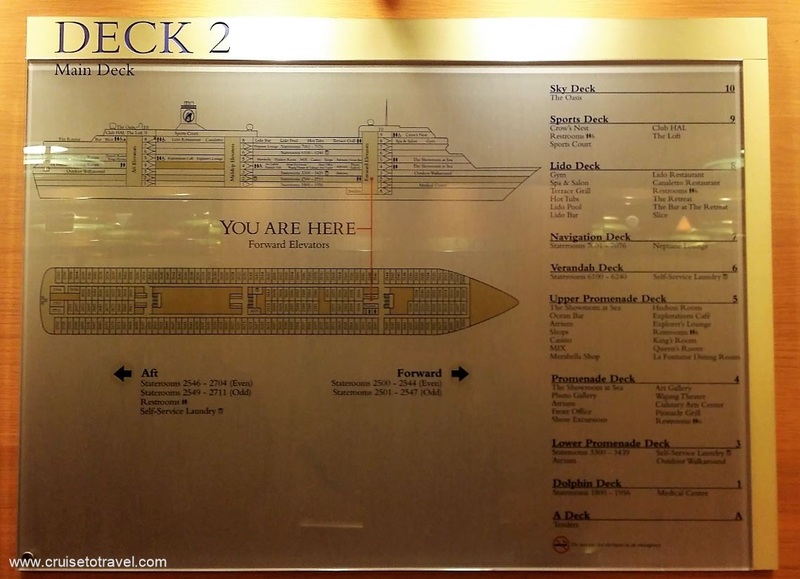 Featured inside the historic cruise terminal is a large picture showing the SS Rotterdam, the fifth ship in the Holland America Line history to bear this name. 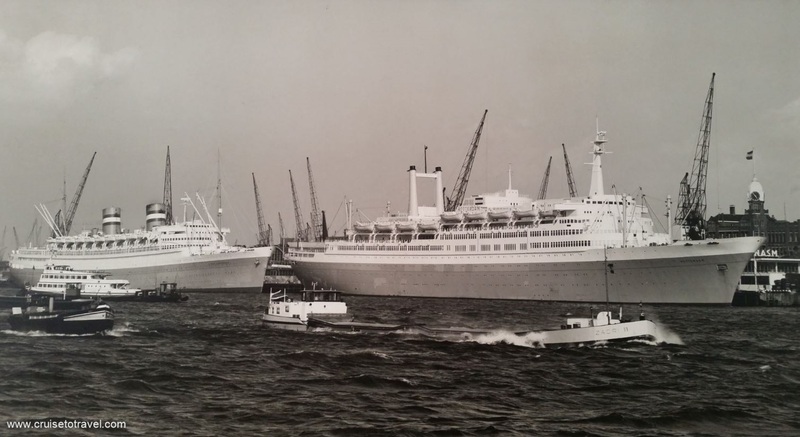 Currently the SS Rotterdam is permanently docked in the vicinity of the terminal and serves as a hotel and museum. 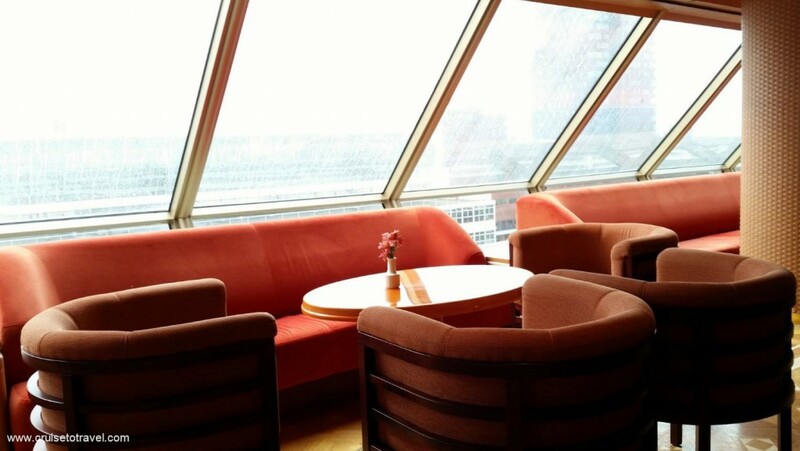 As soon as we arrived on the second floor of the terminal building we were greeted by a free cup of cappucino and a view of MS Rotterdam. 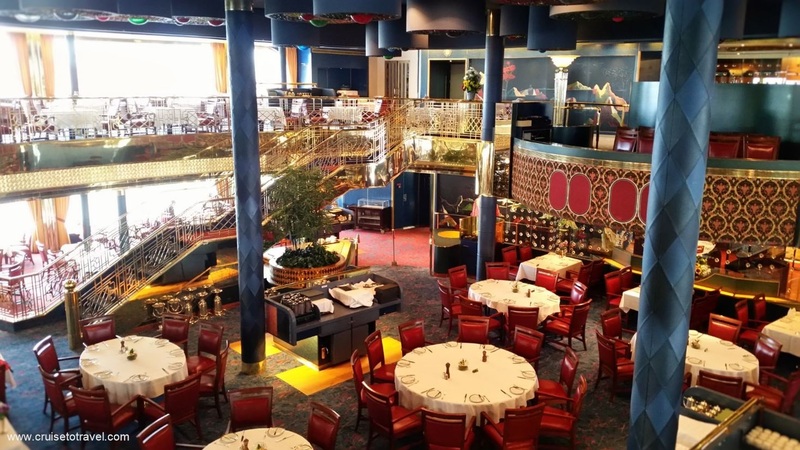 We entered the ship on deck two, the Main Deck, where we took the elevator up to deck nine to visit the Crow’s Nest. Onboard Rotterdam traditional deck plans, instead of the new electronic way finders, are used to guide you through the ship. 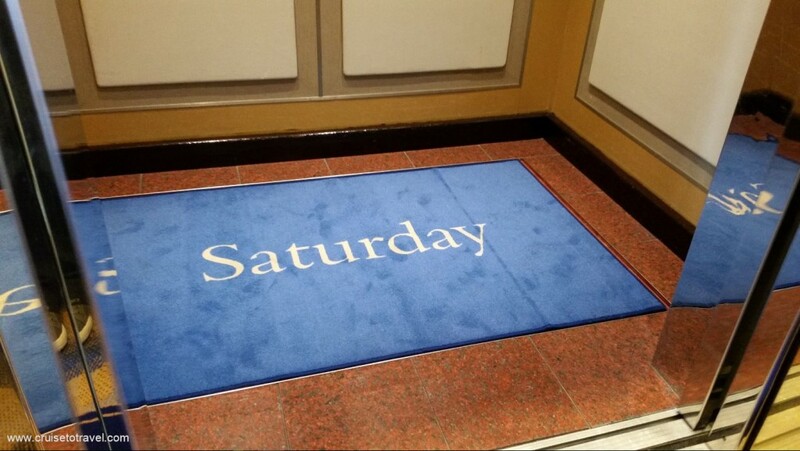 And as on every other ship the elevator tells you what day it is. 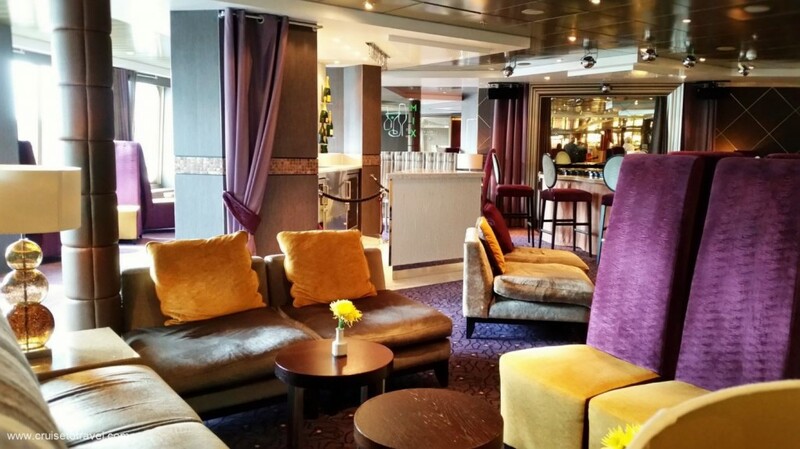 During the day the Crow’s Nest is the place to be if you want to relax while enjoying the stunning view over the bow of the ship. After sunset the Crow’s Nest turns into a disco where you can dance until the early hours of the morning, or enjoy the relaxing soul tunes in B. B. King’s Blues Club. One deck below we had a look at the Lido pool, which is accidentally located on the Lido Deck. During warm weather the retractable roof is opened so you can enjoy the sunshine while relaxing by the pool or in the jacuzzi’s. Next to the pool are the Lido Bar and the Lido Market serving poolside drinks and food. 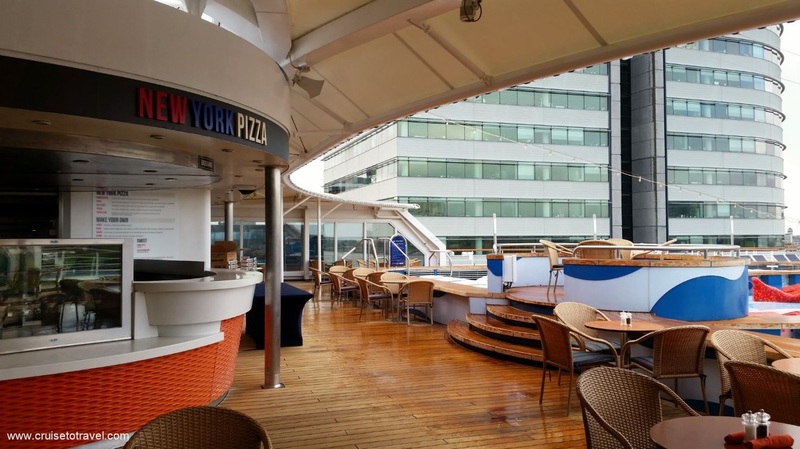 Central on deck 9 is Rotterdam’s buffet style restaurant, the Lido Restaurant, which is open for breakfast, lunch and dinner . 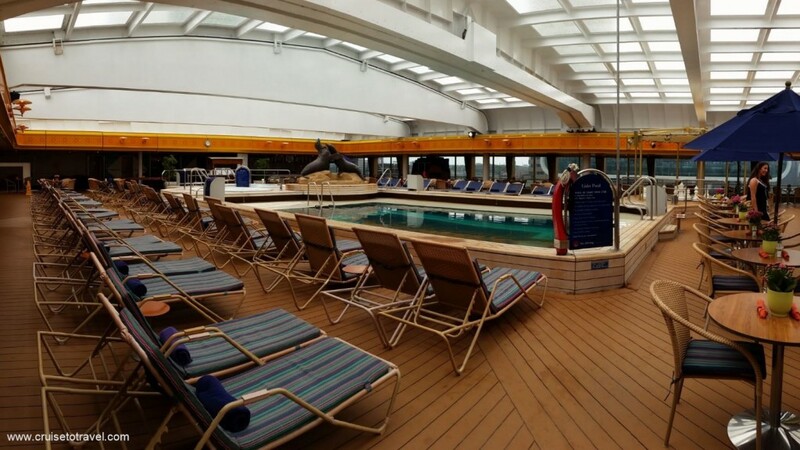 At the back of the ship is The Retreat, a private resort-style pool experience. Going back inside we took the stairs down to visit some of the accomodations onboard MS Rotterdam. 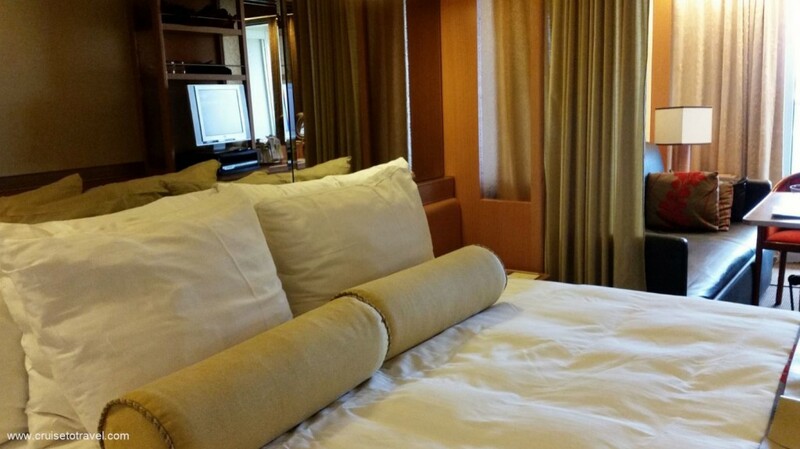 Because it was a turnaround day for the ship we were able to go inside some of the staterooms. 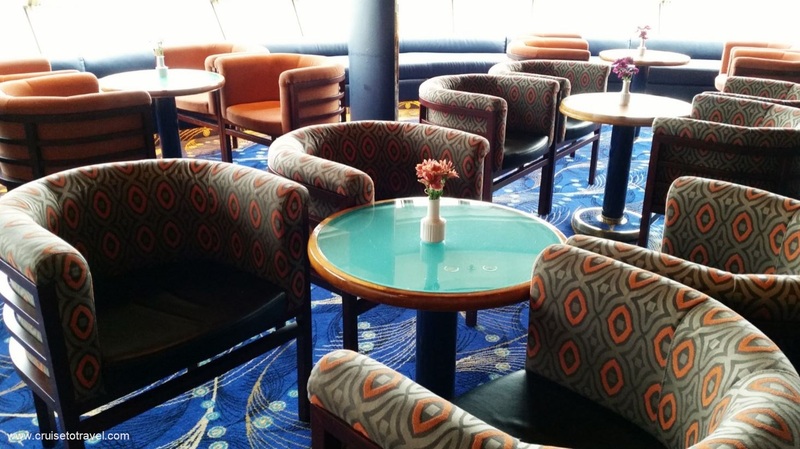 The turnaround day is the day where the old passengers get off the ship and the new passengers get on. 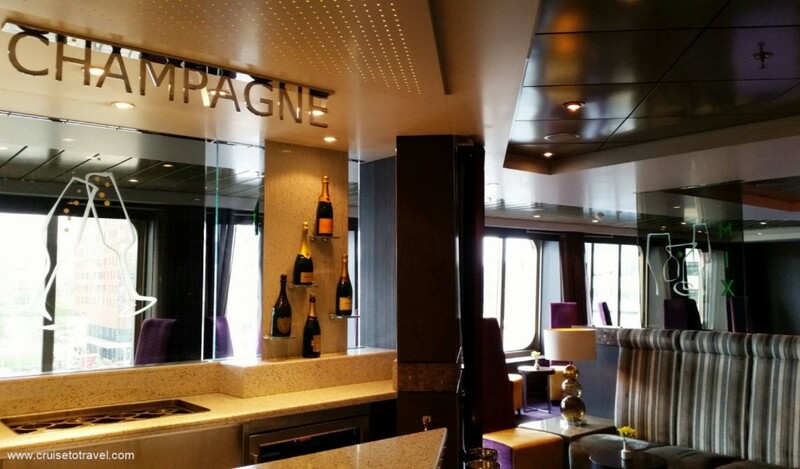 The inside cabins are mostly located on decks one, two and three. They all have two beds that can be converted into a queen size bed, a sofa and desk, and a bathroom with shower. The cabin size averages between 182–293 sq. ft. (17-27m²). 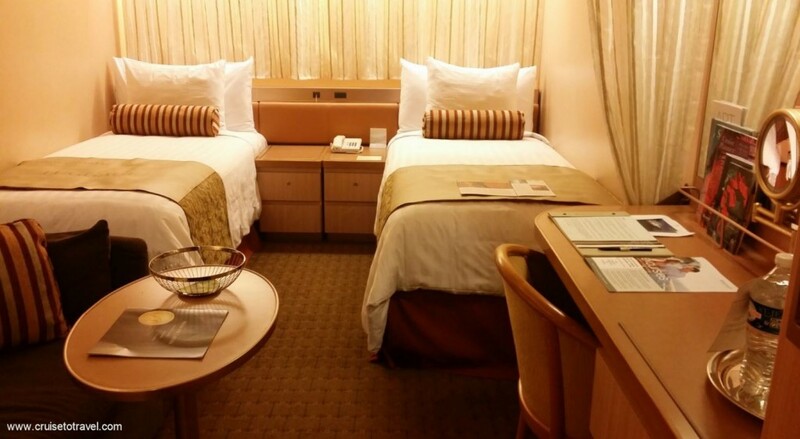 Oceanview staterooms can either come with a small porthole or a large window. 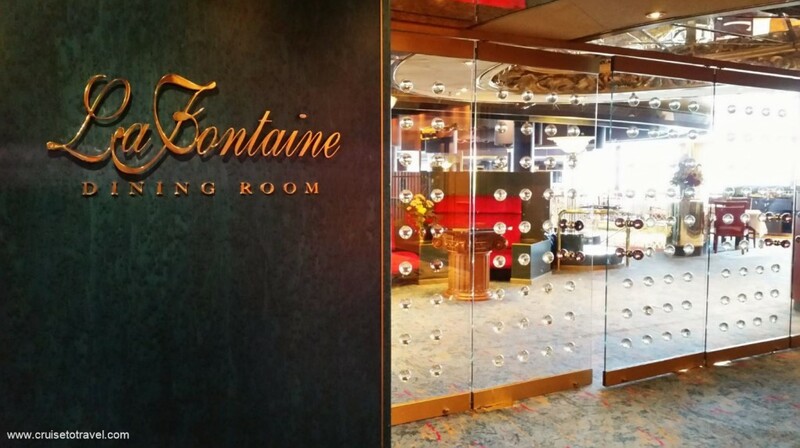 The new Lanai staterooms on the Lower Promenade Deck (deck three) have sliding glass doors giving access to the onto the walk-around promenade. 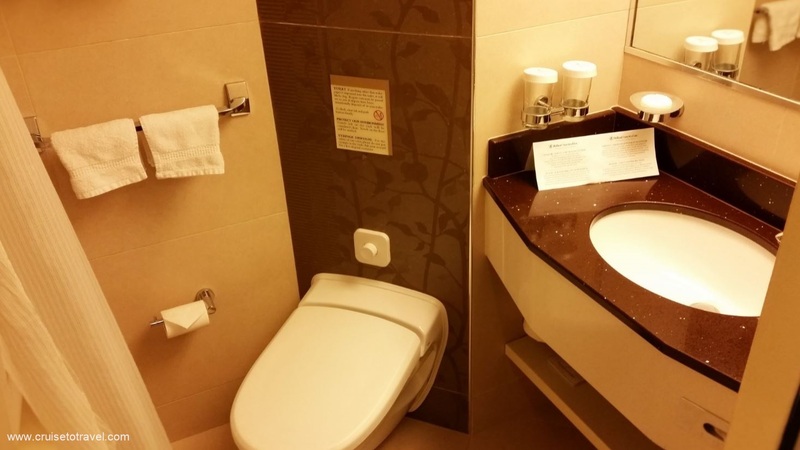 The two beds can be put together or kept separate, there is a seating area and workspace/desk, the batherooms in these cabins come with a shower or a bathtub. 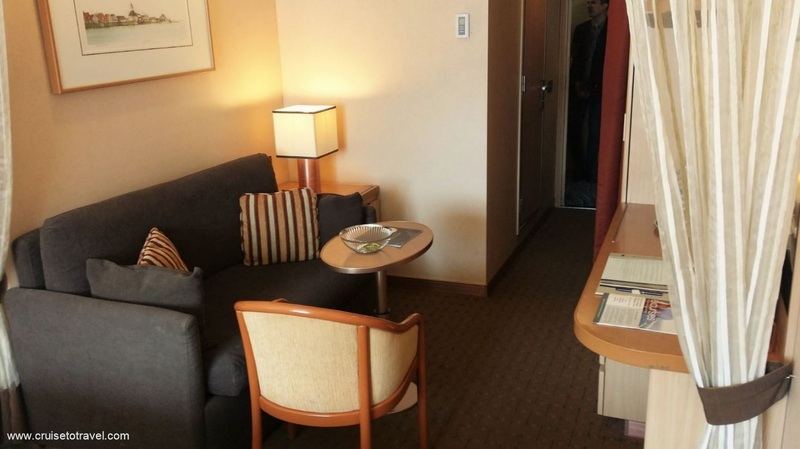 The smallest cabins measures approximately 140 sq. ft. (13m²) while the largest is 319 sq. ft. (30m²). 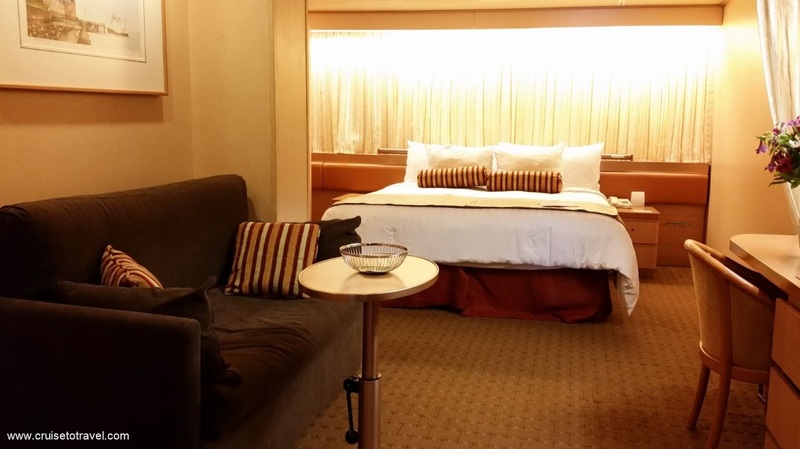 The Vista Suites, or balcony staterooms, have two beds that are convertible to a queen-size bed, a sitting area, a mini-bar, a bathroom with whirlpool bath & shower, floor-to-ceiling windows giving access to the private verandah. The Vista Suites, including verandah, are approximately 292 sq. ft. (27m²). 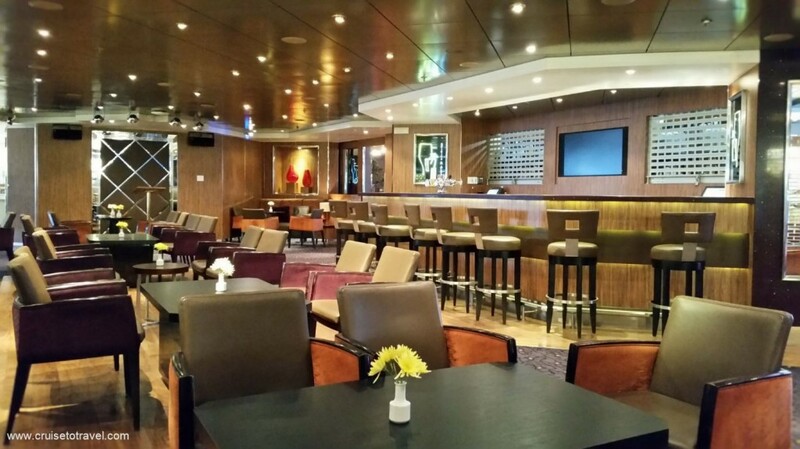 They are located on decks six and seven, the Verandah and Navigation Deck. 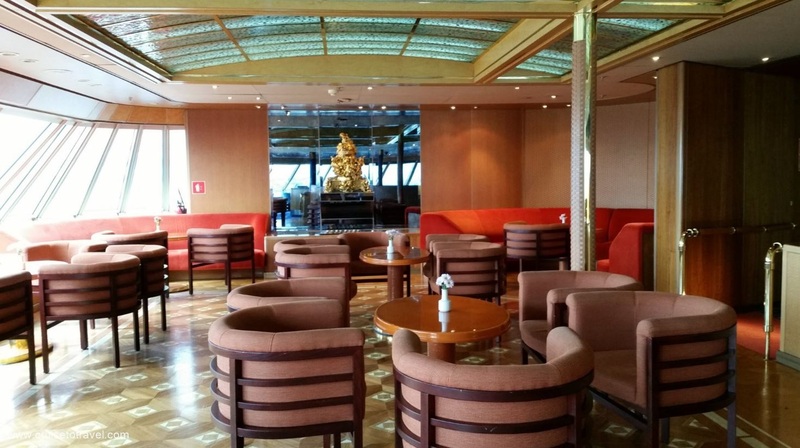 The Navigation Deck, where the bridge is located, is the location for the (real) suites onboard MS Rotterdam. 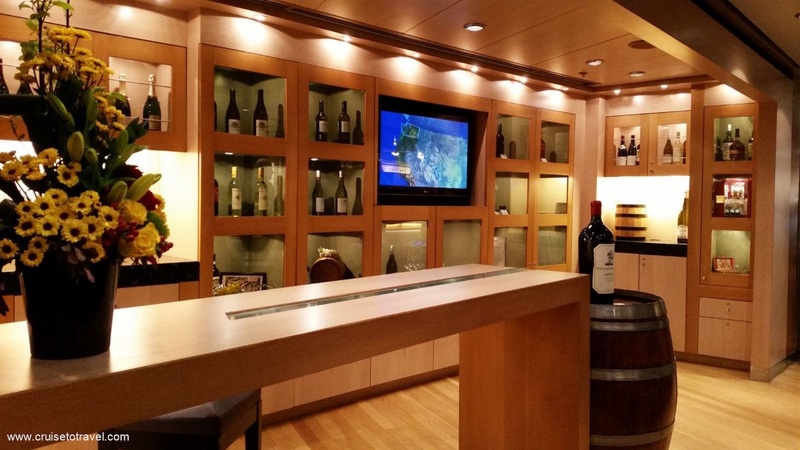 The Neptune and Pinnacle Suites are the top accommodations onboard MS Rotterdam. 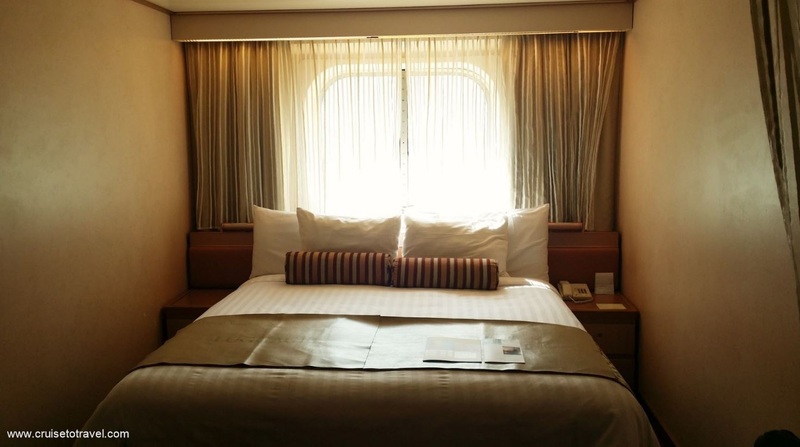 The Neptune Suites have two lower beds that are convertible to a king-size bed, a dressing room, a bathroom with whirlpool bath & shower, a large sitting area with a sofa bed for two persons, a mini-bar and floor-to-ceiling windows giving access to the private verandah. These suites measure approximately 571–653 sq. ft. (53-60m²). 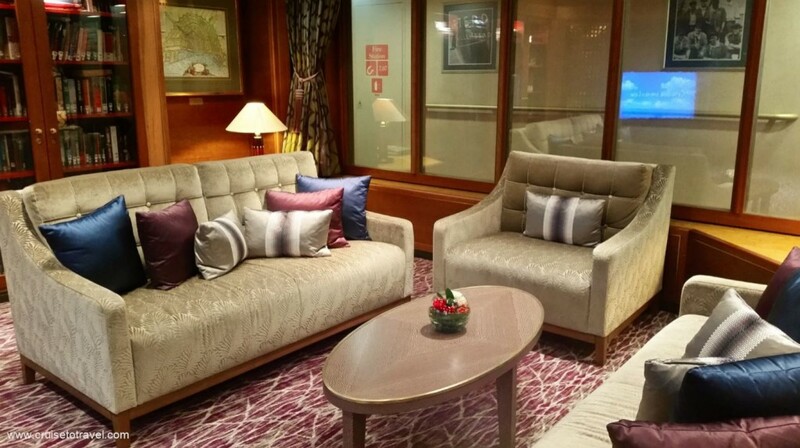 MS Rotterdam also has four Pinnacle Suites, These measure approximately 1,127 sq. ft. or 105m² (including verandah). The suites have a bedroom with a king-size bed, a dressing room, a bathroom with oversized whirlpool bath & shower, a living and dining room, a sofa bed for 2 persons, mini-bar, guest toilet and floor-to-ceiling windows with access to the private verandah. 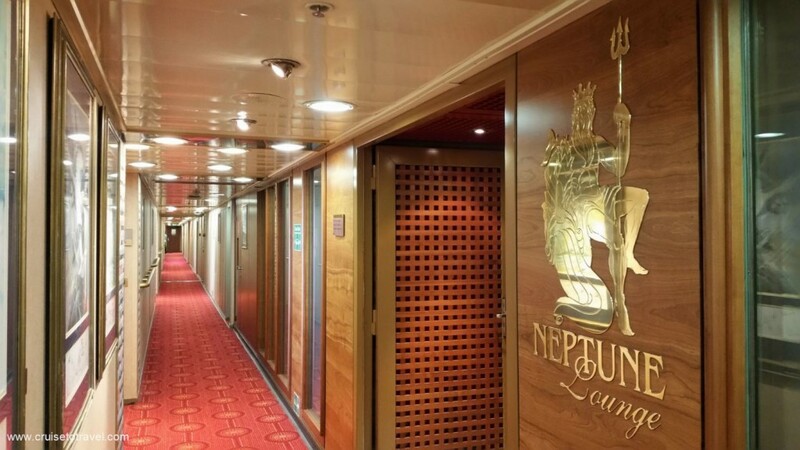 Guests staying in a Neptune or Pinnacle Suite have exclusive access to the Neptune Lounge. 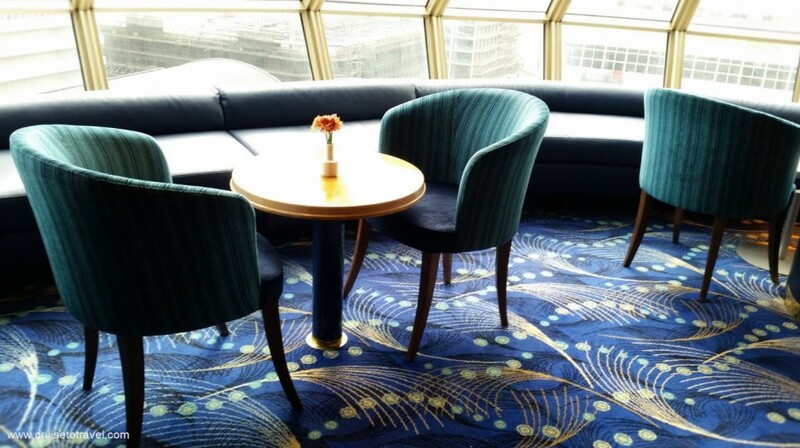 The Neptune Lounge is a private place to relax, socialize with other suite guests and enjoy the personalized service of a concierge. 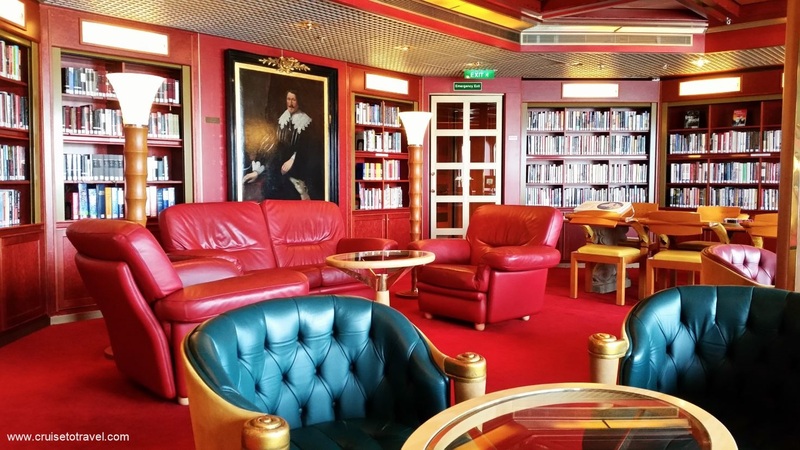 It provides worktables, large screen televisions, a library and refreshments throughout the day. 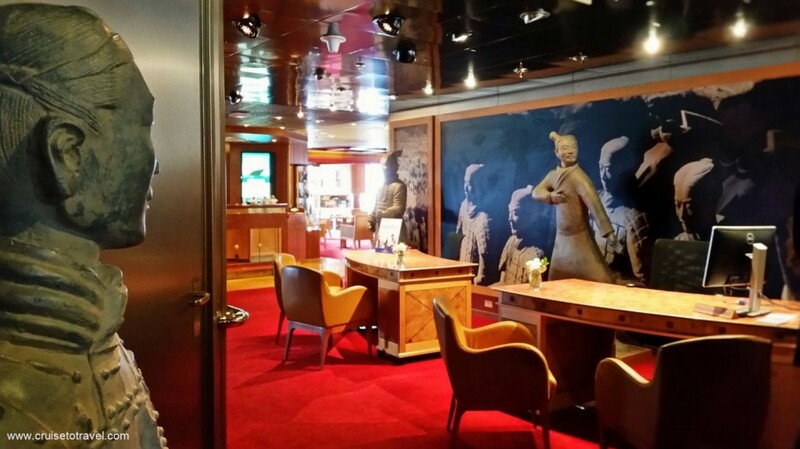 Having seen some of the accomodations onboard MS Rotterdam we continued our visit with a look at the Showroom At Sea, the ship’s main theatre. The theatre takes the look and feel of a classic nightclub, with cabaret-style chairs and small tables in the front, and mixes it with state-of-the-art theatre technology. 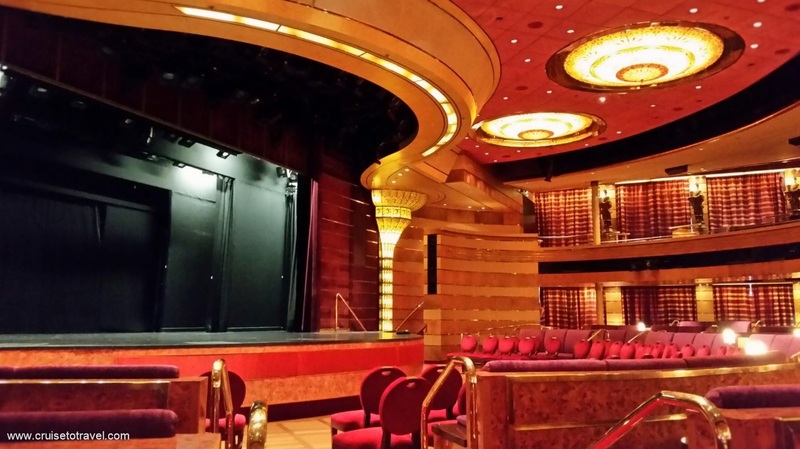 It is the place where the ship’s main entertainment, ranging from singers and dancers to musicians and comedians, takes place. Stepping out from the theatre we admired the massive artwork that decorates, or should I say dominates, the Atrium. 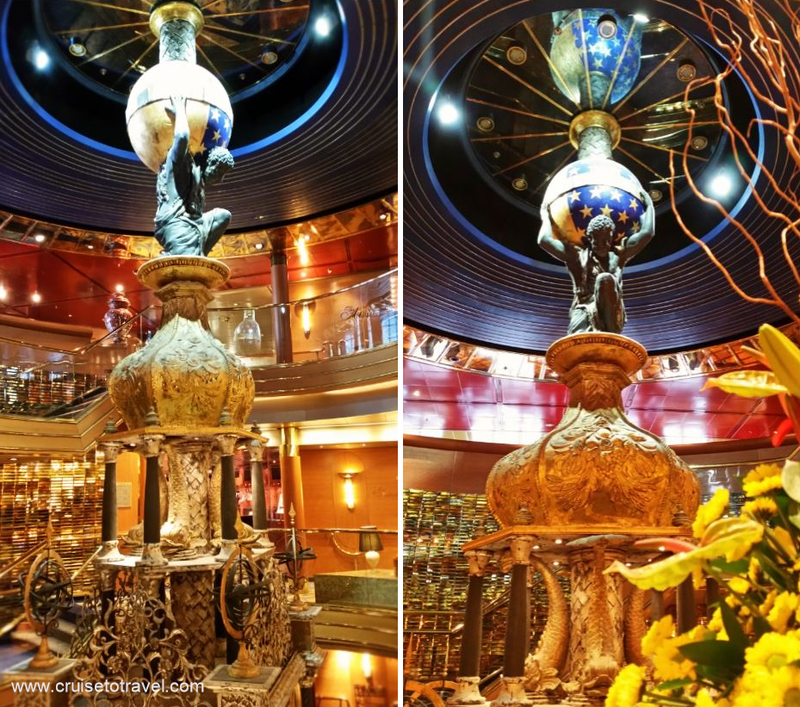 The Atrium Clock is a three stories high astrolabe designed by Gilbert Lebigre and Corinne Roger. Made of brass, resin and bronze it’s 14 clocks show the time in different locations around the world, astonomical instruments and playful sculptures complete this work of art. 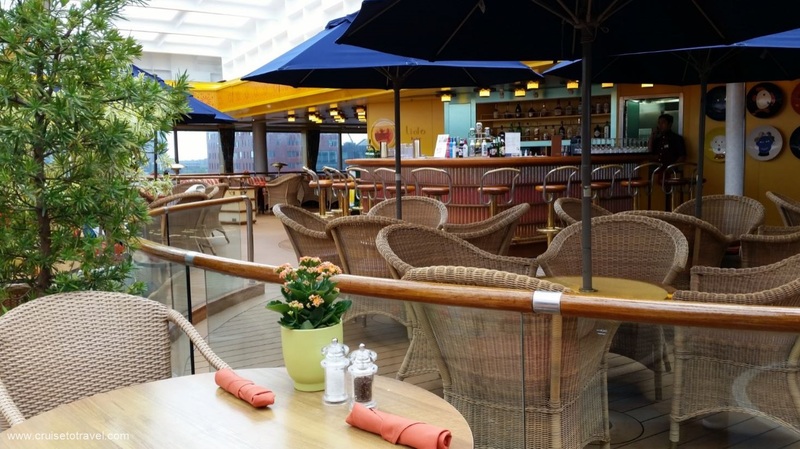 Past the Atrium is a Winetasting Bar and Gourmet Shop followed by The Pinnacle Grill. 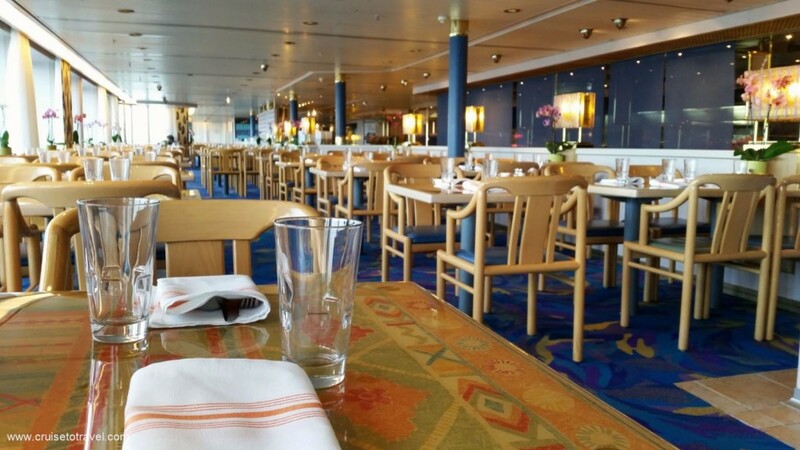 The restaurant is open for lunch and dinner and offers the best beef and seafood (for a fee) on the ship. 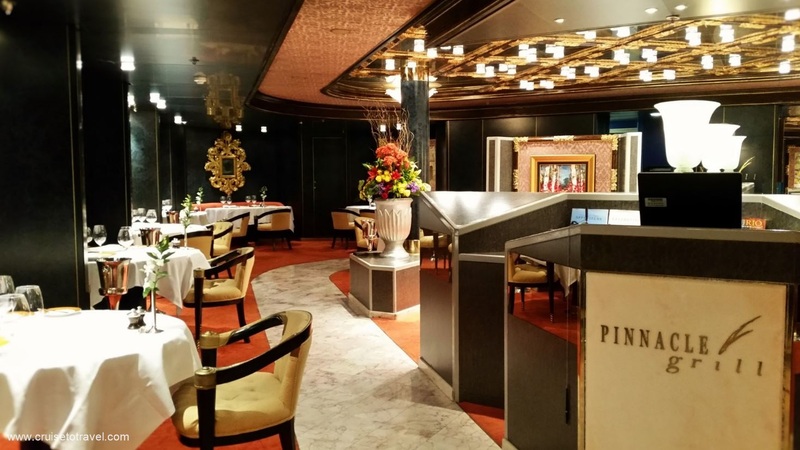 Once every cruise, 18 guests can enjoy a 7 course meal, accompanied by select wines at a Master Chef’s Table. 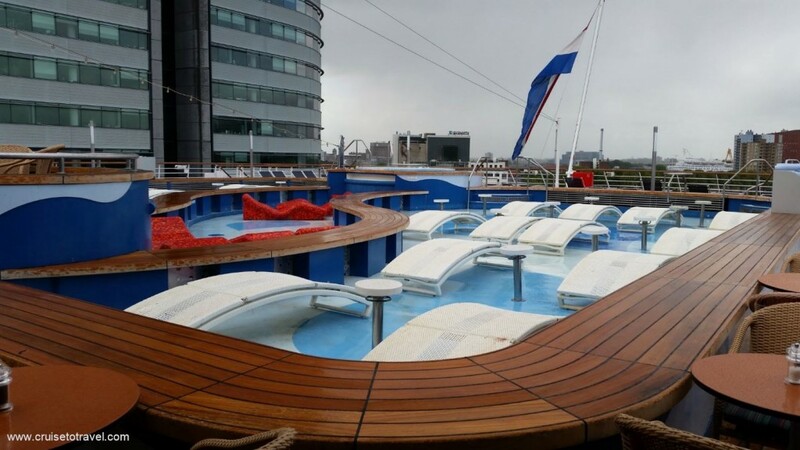 We continued our visit to MS Rotterdam on the Upper Promenade Deck. Passing through the Casino and MIX. 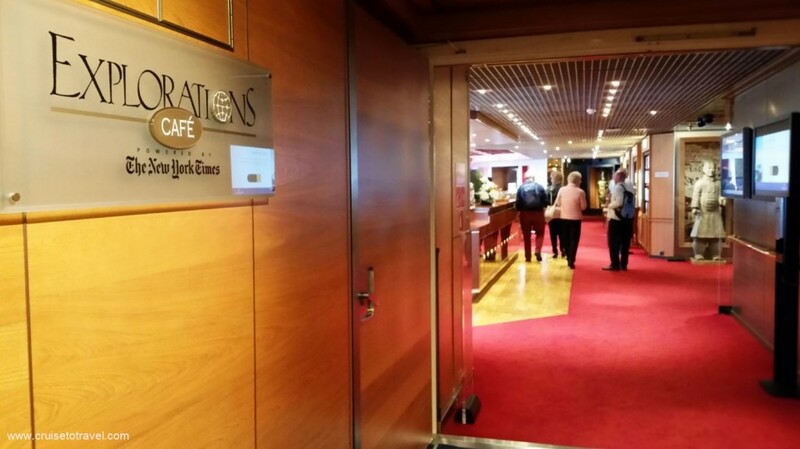 Walking past the Future Cruises Desk we entered the Explorations Café. 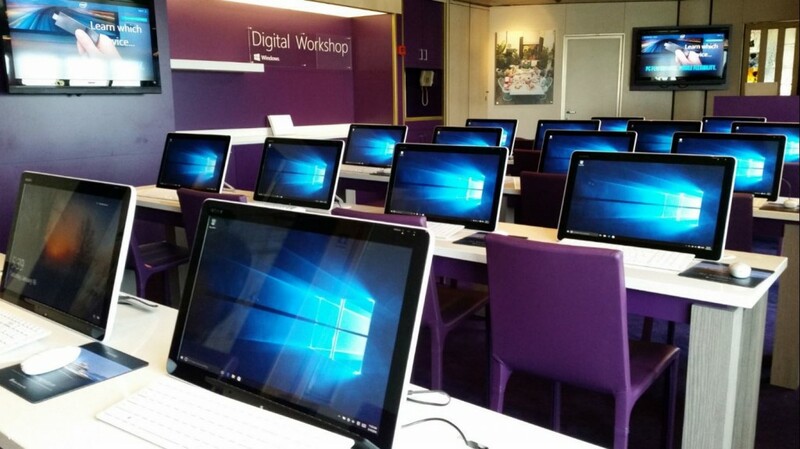 On board you can extend your knowledge of all things digital in the Digital Workshop. The Digital Workshop offers free lessons about digital photography, videos, scrapbooking, blogging and social networking. Our last and final stop in this visit was the La Fontaine dining room. 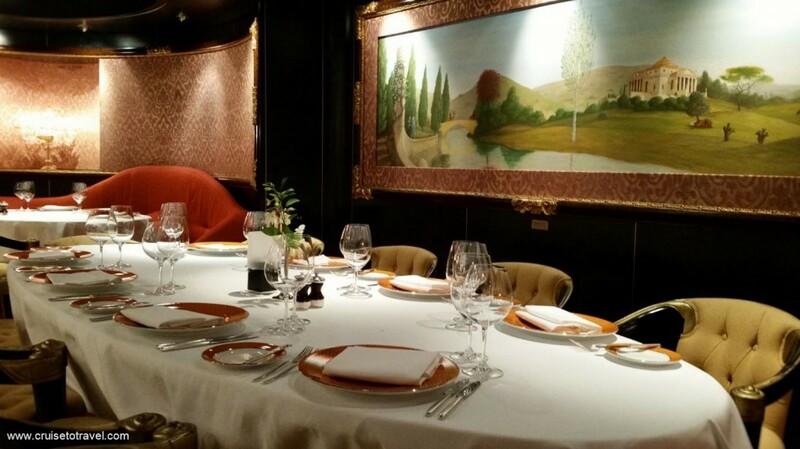 The two-floor main dining room is open for breakfast, lunch and dinner. 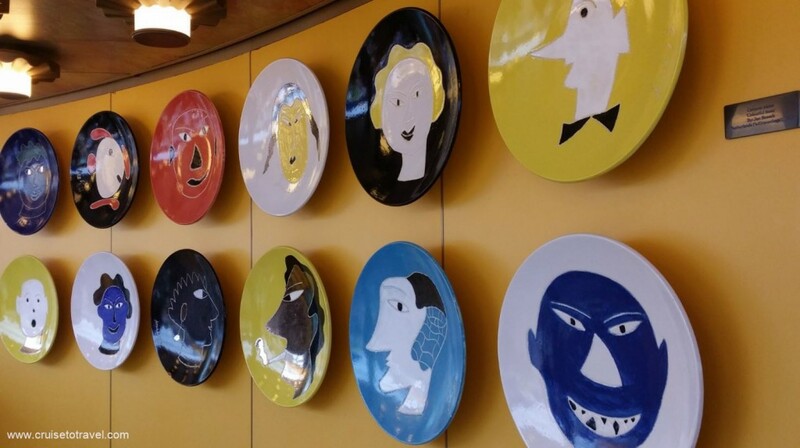 Holland America has “As You Wish Dining” which means you can choose to dine any time from 5:15 pm to 9 pm, or you can have a traditional dining time, either early seating at 5:45 pm or main seating at 8 pm. 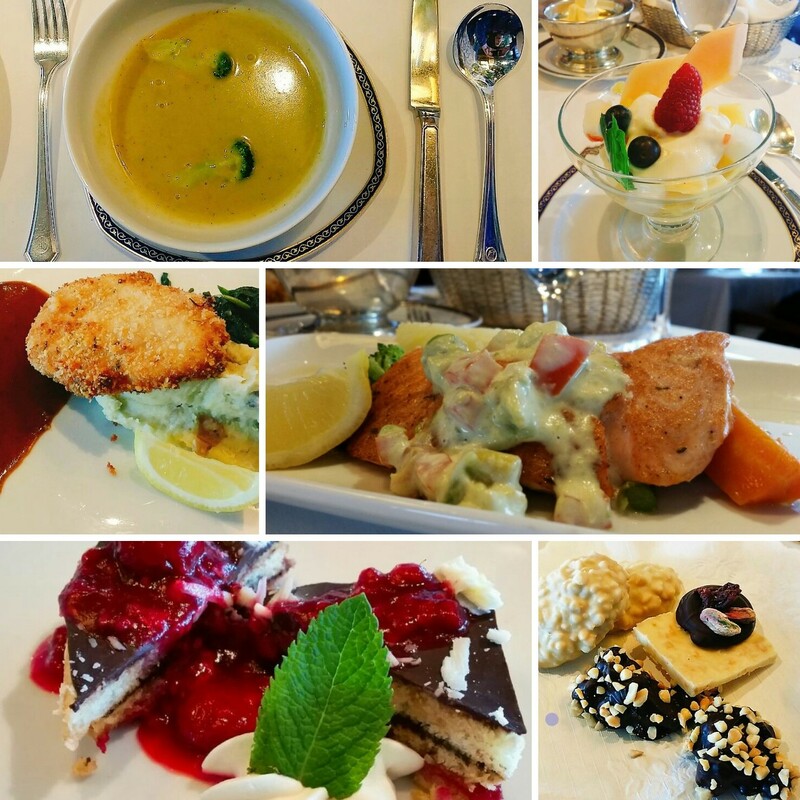 We ended our visit to MS Rotterdam with a 3-course Lucheon offered by Holland America Line. For starter we chose a cream of broccoli and fruit salad with yoghurt and honey. For main course we tried a crispy country-style buttermilk chicken and a pan-seared salmon fillet. The chicken came served with red skin mashed patatoes and sautéed kale, the salmon fillet was drizzled with avocado-tomato aiolli and was accompanied by parsley potatoes and garden vegetables. The esterel cake with white chocolate and raspberry sauce followed by coffee and petit fours finished this delicious lunch. 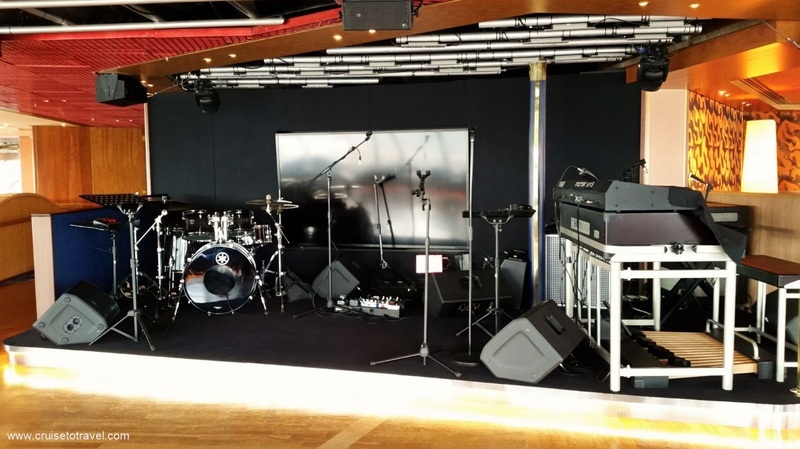 Since we had not set foot onboard a Holland America Line ship before we had no idea what to expect from this visit. 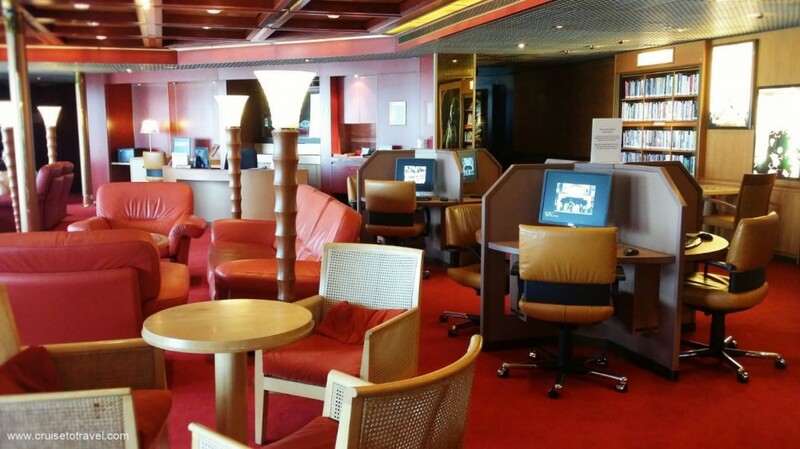 But as soon as we entered MS Rotterdam we were rather impressed by the general atmosphere onboard the ship. 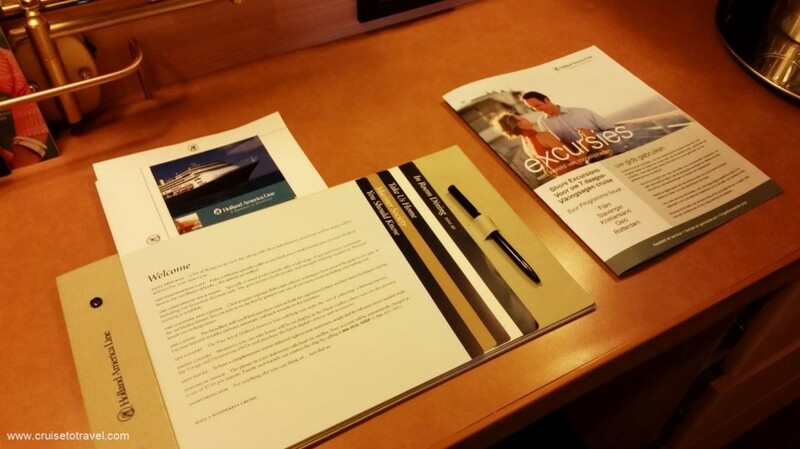 After touring MS Rotterdam it is clear that she may be of a certain age but she is one fine looking, classy lady. As Rotterdam lacks the thrill providing features other ships have, and from what we could see, the ship may not be the ideal choice for families with children, but she is definitely the right ship for the traveller who wants to discover the world while combining comfort and style with outstanding service. 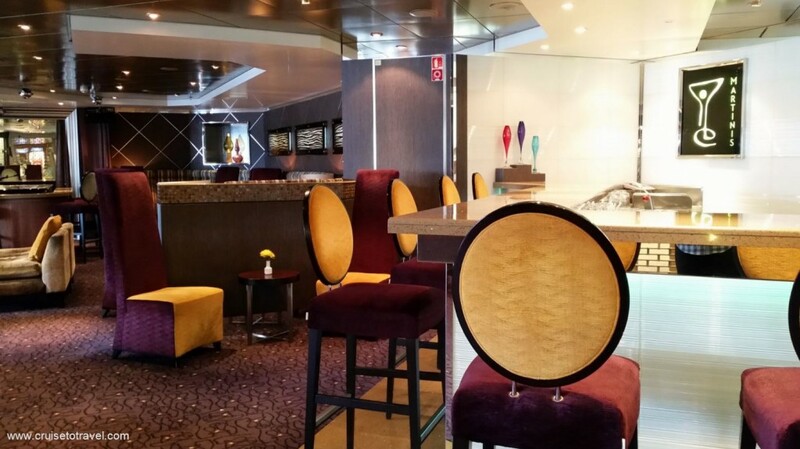 Our first acquaintance with Holland America Line was a nice surprise which left us wanting more. We just recently sailed for 14 nights on the Rotterdam. We returned home on January 27, 2019. Sadly the author of this article was in my estimation “set up”. The Rotterdam has everything depicted in the pictures, when in port, nothing going on, and no one around but ship staff. 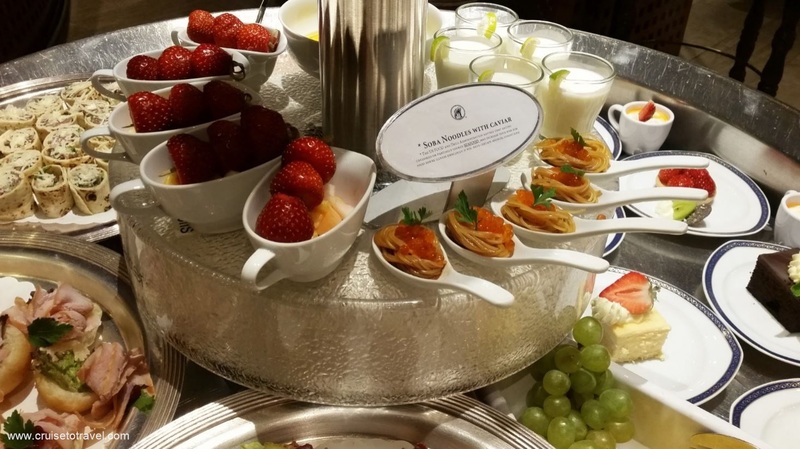 Let me be specific, we have been dazzled on numerous Holland America Cruises, and up till this cruise felt they the best on the oceans of the world. 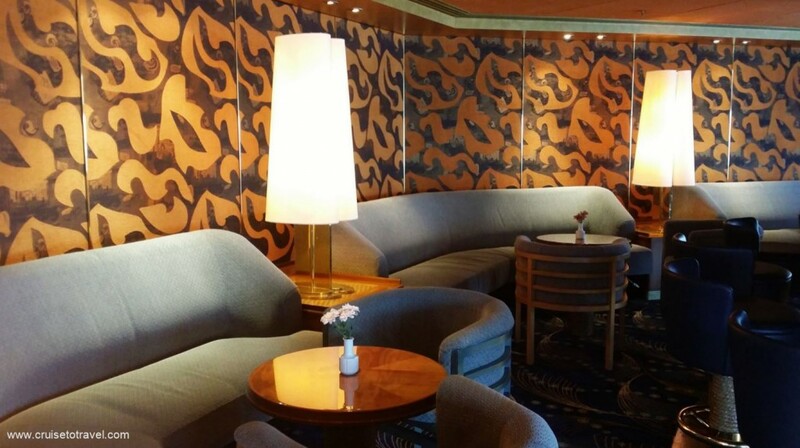 Sadly The Rotterdam has dampened our feelings about HAL. 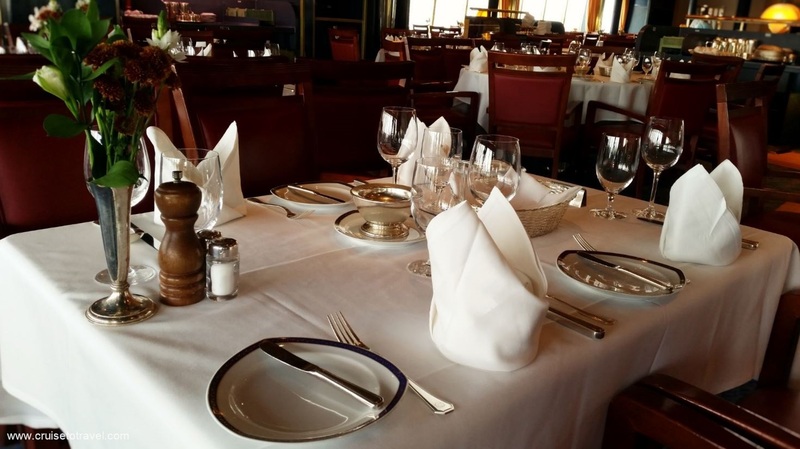 The main dining room menu was boring night after night, a fact our author would not have known since they only had one lunch on a port day. 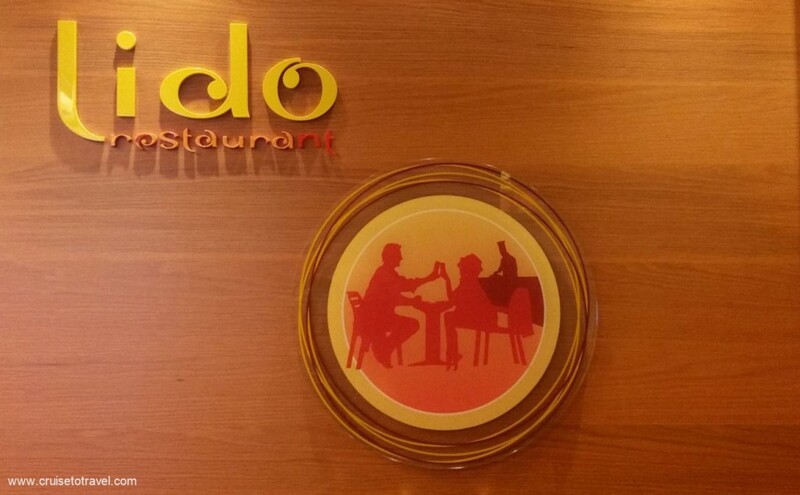 The Lido restaurant had plenty to choose from, but literally served many of the same selections day after day after day. Taste was fine, again simply put boring. 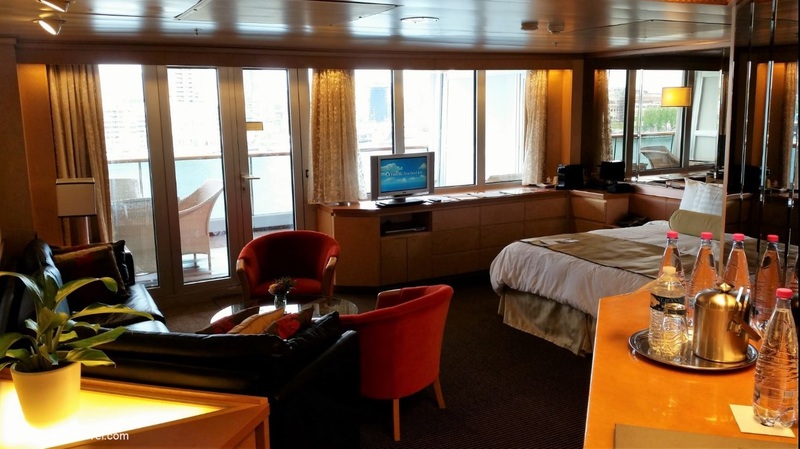 Remember the picture of the beautifully set up stateroom? 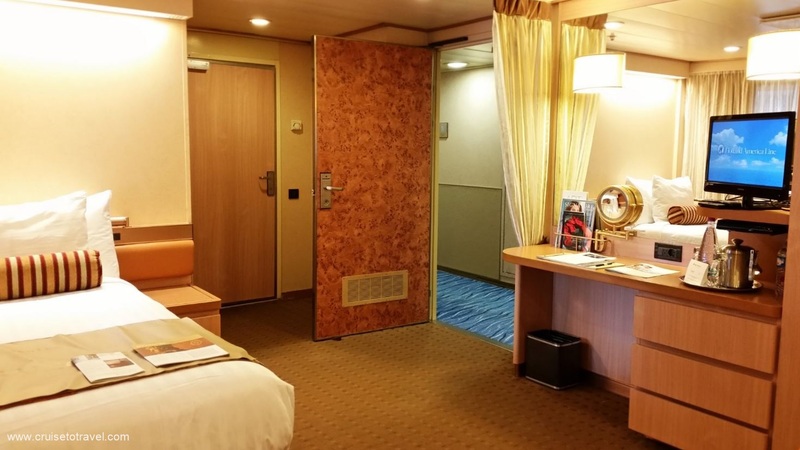 We had one of the Lanai rooms 3366, and believe me it was just a normal run of mill cruise ship stateroom, with two doors and reserved lounge chairs. Ok, enough said. Bottom line, the author saw a set up ship, and what HAL more than likely paid them to see. We filled out our review and emailed it back to HAL, we named names of staff who impressed and those who were sub par. 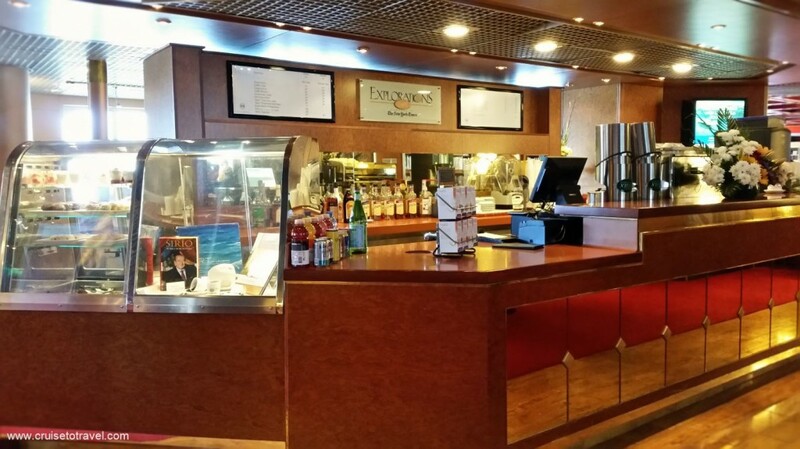 Many staff were superb, but in the MDR Dooey, Constantine and Jobe (the 3 Maitre D’s) were in our minds worthless. HAL has not replied to our review, which is no surprise. One final thought, entertainment was a joke, a comedian, piano player, harmonica player, no cast shows, and lots of movies, yes movies instead of singers and dancers. Very poor HAL, our 50th anniversary cruise was terrible. You have little to be proud of.